Welcome to the fifth installment of “short & sweet reviews” by Cockburn Libraries staff. The silkworm, Robert Galbraith’s (or JK Rowling, depending on the genre) second crime fiction publication, was another gripping read in the Cormoran Strike series. With the latest instalment, Career of evil, having been released just last week, is your name on the waiting list yet? I’m looking forward to reading more about Robin and Cormoran, so much so that I might not wait for the audiobook version and will end up reading when I should be sleeping… oh well! This is an epic tale about a dystopian future where a community exists in an underground silo – they have never been outside. I could not put this one down, upon finishing it I immediately reserved and read the other books of the trilogy Shift and Dust. And happy news, I’ve just discovered Hugh Howey has released another book – Sand; I’m now off to cancel all my plans for the weekend! Tim Burton’s Big Eyes was an interesting human drama and story of personal fight for identity. Very good acting and well developed characters, and learning it was closely based on true event made it even more interesting. Poverty, tragedy, envy, betrayal, egos, success, failure, and race relations are inter weaved with this history of popular music. The movie celebrates Rick Hall, the founder of FAME studios in Alabama and creator of the sound that drew Aretha Franklin, Wilson Picket, Etta James, Percy Sledge, The Rolling Stones, Greg Allman and many others to Alabama to make some of their best loved classics. No map, but not lost : the self published comics 1995-2011 / Bobby.N. It’s interesting to see how his comics evolved over time. It also includes one of the best introductions to a book you are ever likely to read. 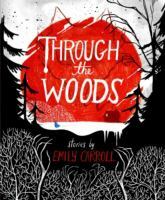 I’m re-reading Through the Woods by Emily Carroll, a graphic novel illustrated by the author, in which things really do live under your bed, all the strangest creatures come from the woods, and nothing is ever going to be alright again. She writes her own chilling, eerie brand of fairy tales and illustrates them with a ghoulish brilliance. Perfect for Halloween! A really neat little book filled with yoga sequences to do at home – great for a self-taught yogi like me! The husband’s secret by Liane Moriarty – I am loving this author and working my way through all of her books. I really enjoy the way she combines a crime/mystery with accurate insights into married life and family. Hi, I work as Library Technician at Coolbellup Library. I help out in making sure that technology in the library works as it should. Other duties I have include cataloguing resources such as books and audio visual material, and to assist patrons with their use of audio-visual materials, online databases and internet services.